A small lock-n-lock hidden in a new county park. Gonzaga Park is a new Orange County park. 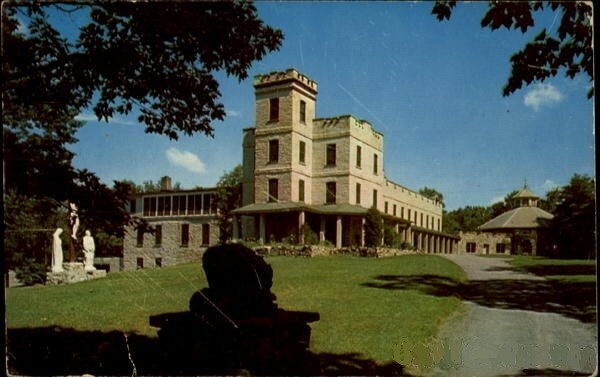 On this site in the earlier half of the 1900's stood the Seven Springs Mountain House, a popular retreat for vacationers. The facility would later become the Gonzaga monastery and catholic retreat center. Falling into decay in the 80's and 90's, the main facility was destroyed in a controlled burn in 2000. The property was then purchased by the county. 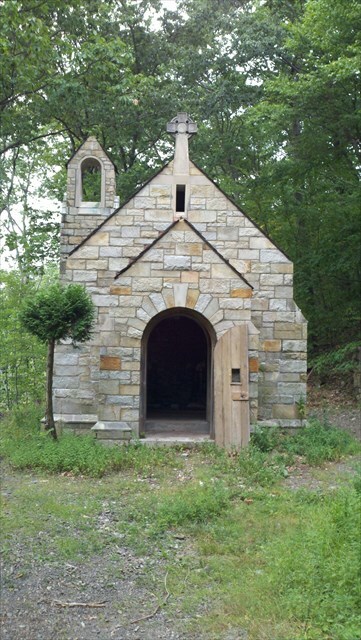 Still visible today are the well enclosure, the large octagonal chapel once attached to the monastery, a service building, and a smaller chapel back in the woods. As a park, the county has added picnic areas and a new gaelic football field. The park also serves as a trail head for the Jessup and Highlands trails, and the soon to be re-routed Long Path. The park entrance is at the intersection of Seven Springs Mountain Road and Seven Springs Road. The park is closed off-hours by a large fence, but if the fence is closed you can park there, just don't block the fence and leave a "hiking" sign in your windshield.